Central Pennsylvania’s State College—also fondly known as Happy Valley—is best known as home to Penn State University. But beyond the Nittany Lions, Happy Valley is a world-class hub for cyclists, home to everything from wooded singletrack to smooth road rides. 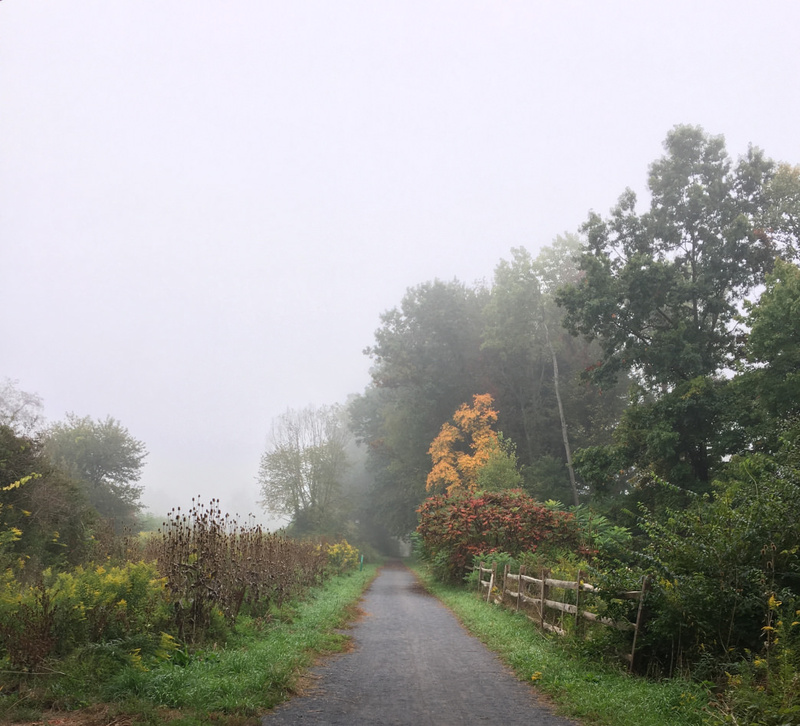 Cycling has also been enthusiastically embraced in State College and the surrounding Centre Region of Pennsylvania, making the area ripe for exploring on two wheels. Recreational opportunities for cyclists abound, including leisurely rides through the stately university campus that anchors State College, century circuits in the countryside, and rides through vast state forests. Here are six reasons why Happy Valley is a world-class destination for cyclists. Recognized by the League of American Bicyclists as a Bronze Level Bicycle Friendly Community, State College features an extensive network of off-road cycling trails and well-marked bike lanes that makes almost all of Happy Valley accessible on two wheels. Cyclists can skirt traffic and park hassle-free almost any place in town. State College is so bike-friendly the town’s popular cycling routes are even scattered with tool-stocked bike repair stations. Best of all, Happy Valley’s bikeways aren’t just a practical choice for commuters—they also make for almost unlimited options for recreational rides right in town, including circuits constructed largely of paved, off-road bike paths. Happy Valley’s culture of cycling has spurred everything from bike-centric business to active cycling clubs. Happy Valley’s bike clubs cater to both road riders and mountain bikers of all skill levels. The State College Cycling Club hosts several regular weekly rides, including everything from long-distance circuits to ‘slow and easy’ Thursday night rides. The Nittany Mountain Bike Association offers resources for off-road riders, like local maps and organized group rides almost daily, primarily departing from the Galbraith Gap area of the Rothrock State Forest. To the benefit of local riders, the adventure-loving culture of Happy Valley has also spurred an insightful series of outdoor guides highlighting Central Pennsylvania destinations—Purple Lizard Maps. Produced by a team of cartographers and outdoor enthusiasts with ties to Penn State and Happy Valley, Purple Lizard creates detailed, outdoor-recreation oriented maps to locations in and around State College, including Rothrock, Bald Eagle, and Black Moshannon State Forests. Happy Valley’s cycling-craze also means State College is sprinkled with several bike shops, catering to all sorts of riders. The Bicycle Shop—a local institution serving State College since 1946—offers an extensive selection of bikes, repair and tune-up services, and organizes weekly rides for both mountain bikers and road cyclists. Downtown State College is also home to Freeze Thaw Cycles, a company started by two Penn State students who became exceptionally adept at refurbishing used bikes to sell to peers. The idea spurred a local cycle shop that now features both new and recycled bikes. 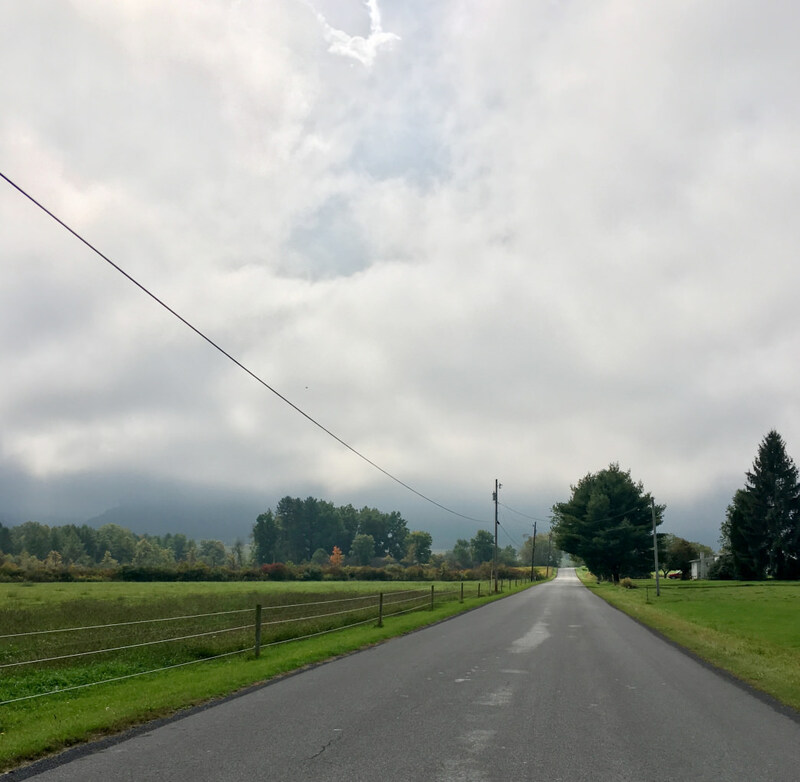 The countryside surrounding State College offers road riders almost endless route options—from century-rides to quick pre-breakfast loops. Road rides showcase everything from rolling pastures to vast state forests and are scattered with plenty of charming pit stops. Locally beloved loops include options like the 20-mile Scotia Loop, taking riders around State College and through the Barrens (also known as State Game Lands #176), a critical habitat for ruffed grouse. The non-profit Centre Bike, a coalition of riders advocating for a bike-friendly State College, also shares insights on regional routes ideal for visiting cyclists. Route suggestions include rides like the 101-mile RB Winter Century, dubbed the “ultimate Penn Valley Century.” About 90 miles into the ride in Potters Mills, Homan’s General Store makes the idea pit stop. The roadside market offers deli-style sandwiches, hand-dipped ice cream, cold drinks, a wide array of local trail guides, and a few picnic tables outside. You’ll find stretches of singletrack throughout the vast state forests surrounding Happy Valley, including Rothrock, Bald Eagle, and Moshannon. But sizeable portions of the state forests are accessible to road riders, too, courtesy of the roadways bisecting the leafy expanses of wilderness. Just 15 miles outside State College in Rothrock State Forest, Bear Meadows Road leads cyclists from Galbraith Gap to the Alan Seeger Picnic Area, showcasing the Bear Meadows Natural Area, an especially scenic portion of the 96,975-acre state forest. Just outside town, road riders can also explore the Barrens (also referred to as State Game Lands #176) along Scotia Range Road. 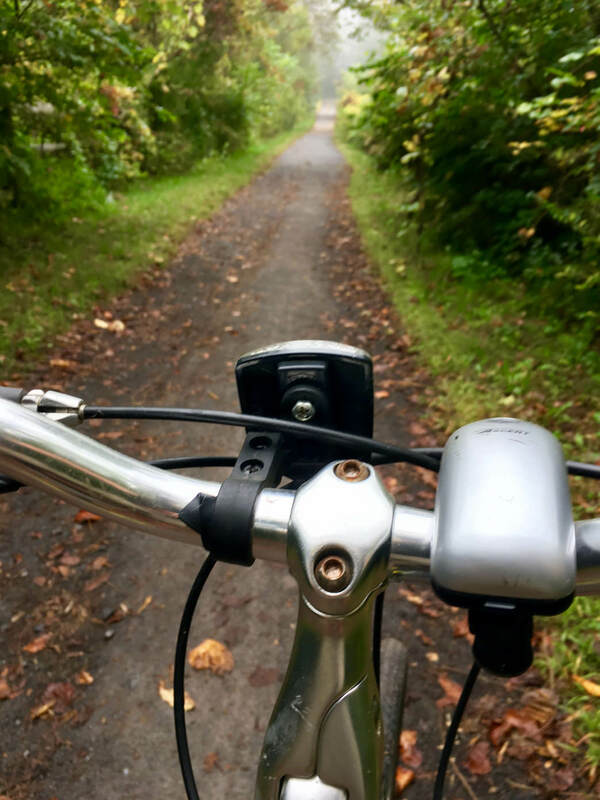 To enjoy a tree-lined ride without leaving town, cyclists can head to the portion of the Bellefonte Central Rail Trail in The Arboretum at Penn State. The gravel path leads riders through a portion of the arboretum showcasing a diversity of habitats, from thick woodlands to wildflower-flecked expanses of prairie. The rail trail is also easily accessible from Sunset Park courtesy of the McKee Street-Clinton Avenue Bike Path. Happy Valley isn’t just laden with scenic trails and extensive bikeways—there are also plenty of places for a post-adventure treat. One of State College’s most famous destinations is the Penn State Berkey Creamery. The ice-cream shop serves up flavors like bittersweet mint and butter pecan, and it can even pack half-gallons to go. For bicyclists after a post-ride drink and tasty meal, there’s historic Duffy’s Tavern in Boalsburg. The restaurant offers spaces for both casual and fine dining—and serves some of the best chicken wings in Happy Valley. Riders craving a perfectly crafted beer can peruse the seasonal offerings at the Home D Pizzeria & Robin Hood Brewing Company – with options like F. Tuck Porter and Raspberry Wheat. The love of regional trails has also inspired a local coffee shop. Rothrock Coffee originally was designed as a place for bikers to fuel up en route to the trails threading Rothrock State Forest. The coffee shop offers an array of connoisseur-worthy specialties, including serving pour-over coffee and nitro cold brew.